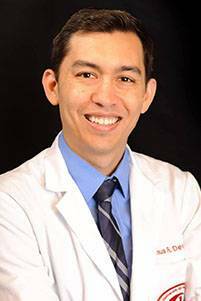 Dr. Joshua Devera was born in Clovis, New Mexico, but came to Texas as fast as he could. After graduating from Friendswood High School, he received his Bachelor of Arts in Biology from Texas A&M University. His studies continued at the University of Houston College of Optometry where he graduated as a Doctor of Optometry. His externship sites include the Good Neighbor and La Case de Nueva community clinics where he gained extensive experience diagnosing and treating ocular disease. Outside of Optometry, Dr. Devera’s hobbies include golf, soccer, reading, and playing video games. He and his wife are also active in their church, where they are leaders in the church’s Children’s Ministry.